This was an old Tagger Sized PTU kit that I'm now giving away as a Freebie. I have a few of them that I have retired and will be giving away over the coming weeks so keep checking back! Hope you like it, Enjoy!! A beautiful kit. Thank you. Thank you so much for this Freebie. 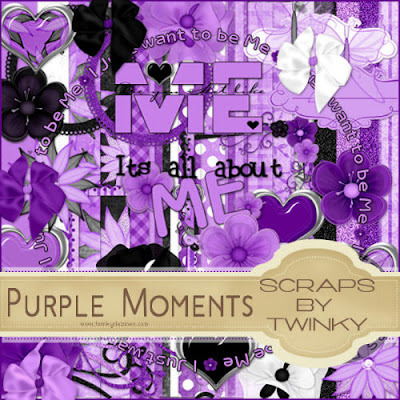 I want to let you know that I posted a link to your blog in CBH Digital Scrapbooking Freebies, under the Page 1 post on Nov. 05, 2009. Thanks again. My all time favourite colour with a hint of deep blue. Stunning. This kit makes me feel really special the way it looks. You can feel all the love and energy you put into it's creation. Thank you fo rmaiking us all feel special by sharing your wonderful talent. Thank you! Your blog post will be advertised on the DigiFree Tagger Freebie search engine today (look for timestamp: 05 Nov [LA 04:00pm, NY 07:00pm] - 06 Nov [UK 12:00am, OZ 11:00am] ). i snagged your freebie kit and it is beautiful! thank you! I snagged this beautiful kit. Thank you very much! This is a beautiful kit, thank you so very much! I love it. thank you for this lovely freebie, I like the colour! Thank you so much for the beautiful scrapkits. I grabbed a few and love em! Thank you I like the colour. Beautiful kit! Thanks so much. Thank you for sharing this beautiful kit. All of your kits gorgeous!